With a long history in working with the US EPA and CARB, BkA’s particular area of expertise in is testing and evaluating the volatile organic carbon (VOC) in products such as paints, flooring and other building materials. Joining ASL as a partner means that BkA is now authorised to test consumer products for the world’s only asthma & allergy friendly® Certification Program. They are the first Californian based company to be so approved. Read more about ASL accredited lab network. Partnering with BkA means that ASL can offer manufacturers additional leading edge scientific expertise to help them manufacture products that are considerate to indoor air quality and those suffering from asthma and allergies. For consumers, this means that ASL and BkA are helping them have a healthy home especially when it comes to buying products and materials to bring into their homes. 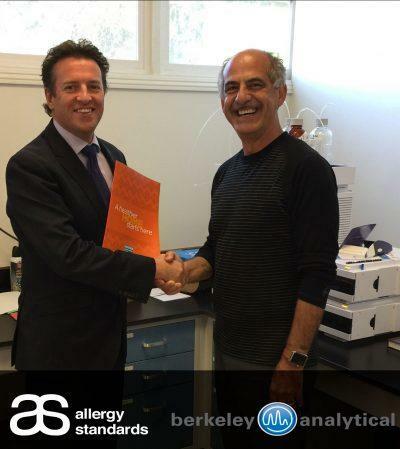 “Berkeley Analytical are internationally recognised as experts in organic chemical analysis, an area of increasing concern to those suffering from asthma and/or allergies. Our partnership with BkA will facilitate our clients in accessing this expertise as well as proving a world class testing facility for their products” said Dr. John McKeon, CEO of Allergy Standards. “Allergy Standards Ltd. (ASL), has taken the next step in delivering healthier building materials and products to consumers. The asthma & allergy friendly® label is backed by extensive testing and chemical hazards evaluations using the latest scientific standards and tools. 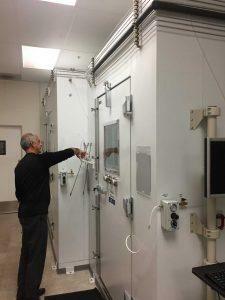 Our partnership with ASL assures rigorous evaluation and builds brand confidence and reliability to manufacturers and consumers alike.” said Raja Tannous, Berkeley Analytical co-founder and Laboratory Director.